D’Alroy’s career was cut short when at thirty-three she died. She first appeared on the stage in 1902. After touring with Ben Greet’s company for a time, she joined Sir Herbert Beerbohm Tree at His Majesty’s Theatre. 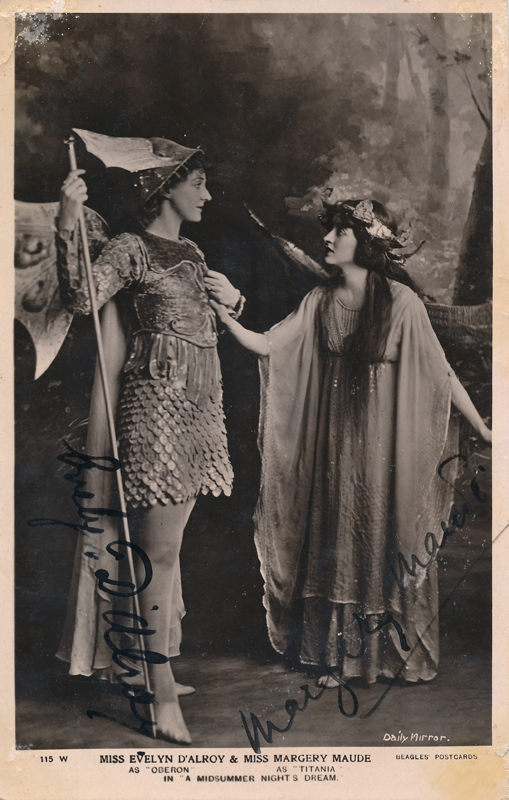 With Beerbohm, she played several parts in Shakespeare’s plays: Ophelia in Hamlet (1910), Portia (The Merchant of Venice, also in 1910), and Oberon in A Midsummer Night’s Dream (1911). Who Was Who in the Theatre reports that her favorite role was Ophelia.